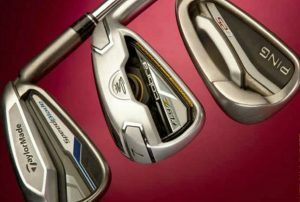 Why do golf clubs have grooves and what happens if they’re full of dirt? What is the function of grooves? In layman’s terms, they create spin which generates drag and lift force for the golf ball. The ball needs a certain amount of spin and speed to maintain a controlled flight and grooves are one of the critical variables. It’s the complete opposite of the downforce generated by Formula One cars.